The recent collapse of the Xe-Pian Xe-Namnoy dam in Laos shows Southeast Asia’s vulnerability to natural disasters and highlights the importance of emergency preparedness, safety regulation, and sustainable development planning in energy security policies. It also demonstrates the growing asymmetry that’s emanating from an economic growth strategy based on resource-dependence. 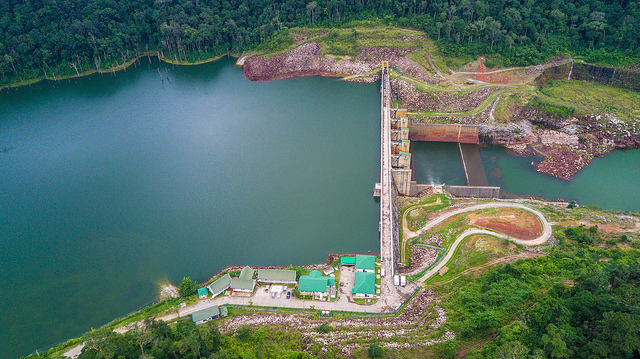 Countries in the Mekong region need to take a long-term view and consider diversifying their energy exports to reduce reliance on the high-risk hydropower industry. The Mekong region is profoundly important, yet it’s often overlooked. Its richness and potential are equalled by its vulnerability. Environmentally, economically and geopolitically, the region is a crucial security frontier. Stretching 4,350 kilometres through six countries, the Mekong River is one of Asia’s most important trans-boundary waterways. The region is no stranger to extreme weather. It experiences heavy rains, but also occasional droughts. Climate change extremes will only deepen these challenges. It’s estimated that energy demand in the Mekong will increase by 66% by 2040. A 2010 report by the Mekong River Commission noted that hydropower is ‘an indigenous renewable energy with limited carbon emission that could boost the region’s contribution to climate change mitigation’. Hydroelectric dams are being constructed along the Mekong River and its tributaries (since 1993, more than 60 hydro dams have been completed). 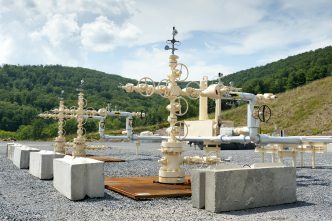 The report also pointed out that the governments of the Greater Mekong have a common interest in ‘promot[ing] cross-border power trade within the wider framework of regional energy trade and economic integration’ and noted the value to Laos and Cambodia ‘in generating national income from power exports’. But these ambitious plans need to be carefully executed to avoid tragedies like the dam collapse in Laos. On the evening of Monday 23 July, an auxiliary dam, Saddle Dam D, of the Xe-Pian Xe-Namnoy hydroelectric power project collapsed. A torrent of water rushed downstream into the Sekong River in the remote Laotian province of Attapeu, bursting its banks and causing severe flooding in the surrounding villages. According to the state-owned Lao News Agency, the disaster displaced more than 3,000 people. Four people died and another 131 are unaccounted for—although those numbers are likely to go higher. As the torrential rain continued, the floodwater also affected Stung Treng province in Cambodia, leading to the evacuation of over 5,000 people. 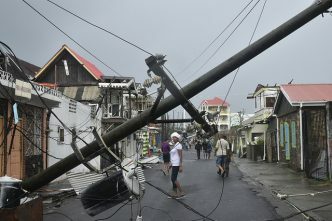 Other regions in Cambodia and parts of Vietnam have also been affected. There’s also a danger that the flooding has dislodged unexploded ordinance. As a small land-locked country, Laos has limited options for reinventing its economy. It has bet on hydropower to be its main source of revenue by 2025: it plans to sell at least two-thirds of the power it generates to neighbouring countries in a bid to become the ‘battery of Southeast Asia’. With ‘46 operational hydropower plants with combined generation capacity of 6,444 MW and annual power output of about 35,000 million KWh’ already, the country is ‘expected to operate 100 hydropower plants with combined installed generation capacity of 28,000 MW and annual power output of about 77,000 million KWh by 2020’. The US$1.2 billion Xe-Pian Xe-Namnoy power project consists of a network of two main dams and five auxiliary dams. It is a joint venture involving SK Engineering & Construction as the main partner in charge of construction, Thailand’s Ratchaburi Electricity Generating Holdings, Korea Western Power Co. and the Lao government. SK Engineering has blamed the collapse of the dam—which was reported to be 90% complete—on heavy rain during the monsoon season. It released a statement saying that it had notified Lao authorities immediately after it discovered fractures in the dam a day before the collapse and said repair works were hampered by heavy rain. The Lao government has launched an investigation and suspects that substandard construction coupled with heavy rain may have led to the collapse. The disaster has put the spotlight on two issues: dam safety and the ability of the government to cope with flood disasters. The impact that hydropower projects have on the environment, fisheries and people’s livelihoods is a persistent concern. This latest disaster has added the issue of safety into the equation. The collapse of a dam that was so close to completion is sure to raise the anxiety levels of villagers living close to existing dams. The US Federal Emergency Management Agency has warned that dam failures can occur for numerous reasons, ‘including overtopping caused by floods, acts of sabotage, or structural failure of materials used in dam construction’. 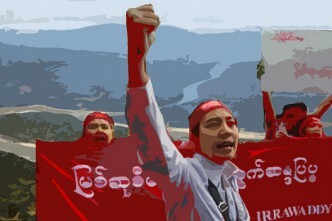 The calamity in Laos shows how unprepared the government and the companies involved were for dealing with such events. Aside from human costs, dam failures may also result in a loss of power generating capacity, causing extensive disruption within the grid infrastructure network and supply problems. Laos and its neighbours that have embarked on similar energy projects need to rethink the development of hydroelectric dams in the Mekong and work towards diversification beyond energy exports. 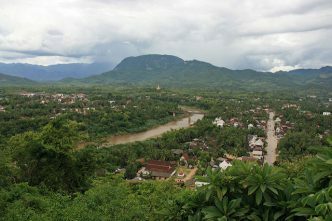 The Lao government has said that it’s planning to improve its flood management system by introducing new regulations and safety procedures, including emergency response plans. 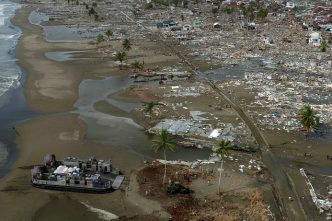 It remains to be seen how the post-disaster rehabilitation of the areas affected—such as clean-up, restoration and flood-prevention measures—will be carried out. International cooperation in the region—including from the Greater Mekong Subregion, Lancang-Mekong Cooperation and ASEAN resilience and preparedness mechanisms—needs to put a stronger emphasis on safe and sustainable development of energy projects. It’s essential that capacity-building for resilience and development, along with sustainability, be part of future Mekong development plans. Christopher Len is a senior research fellow at the Energy Security Institute, National University of Singapore. Huong Le Thu is a senior analyst at ASPI. Image courtesy of the Asian Development Bank on Flickr.